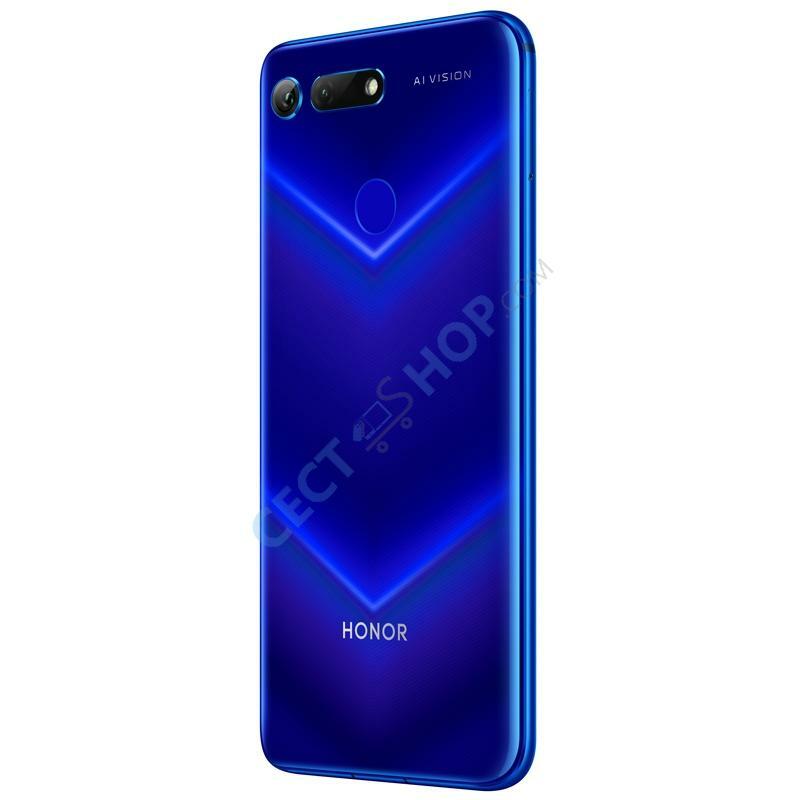 The premium phone Honor View 20 (PCT-AL10) is powered by Huawei’s top of the line Kirin 980 SoC, and features a punch-hole camera design. 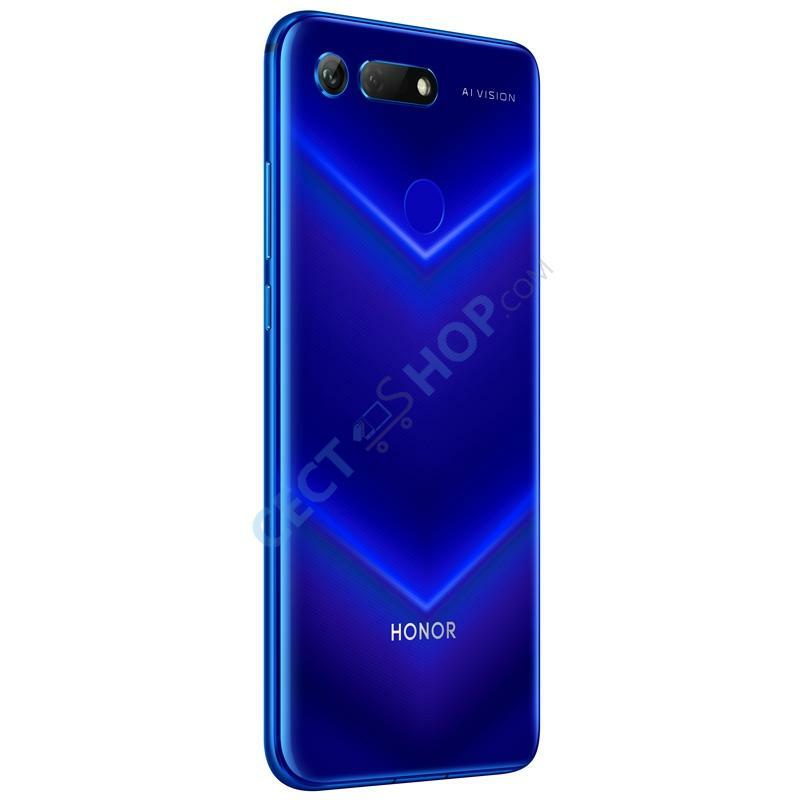 The Huawei Honor V20 has a dual camera setup with 48-megapixel sensor (IMX586) and a 25MP front camera which is similar to those on the Huawei Nova 4 and Samsung Galaxy A8s. The Android phone is powered by the same processor that can be found on the Mate 20 series phones. The Honor V20 features a 4000mAh battery supporting 22.5W fast charging. Some other new features include GPU Turbo 2.0 and Link Turbo for seamlessly switching between WiFi and LTE. 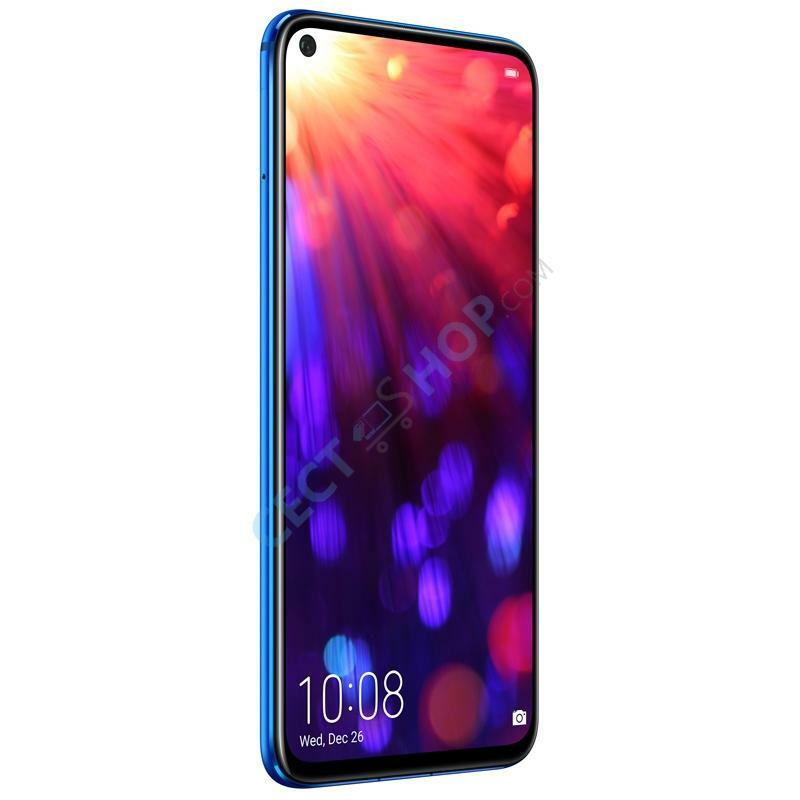 The Huawei Honor View 20 sports a 6.4-inch display with a camera hole at the top left corner. The LCD display features full HD+ resolution with 1080*2310 pixels (398ppi) and a screen-to-body ratio of 91.82%. The affordable high-end mobile phone is powered by a Kirin 980 octa-core chipset, paired with a Mali-G76 MP10 GPU (720MHz). The V20 packs 6GB or 8GB of RAM and 128GB on-board storage. The Honor V20 has two camera sensors on the rear. The main lens is a 48MP Sony IMX586 sensor with a pixel size of 0.8 microns and AI HDR support. The sensor is supported by a flight time (TOF) sensor for depth sensing. The selfie shooter is located at the top left corner integrated into the display with a punch-hole solution. The front-facing camera has 25-megapixel with f/2.0 aperture supporting fixed focal length (FFL). The front camera is also used to unlock the device with Face ID. In addition, the Huawei Honor V20 sports a fingerprint reader located at the glass back. It features a 4,000 mAh battery, with up to 4.5V5A fast-charging technology. VoWiFi, VoLTE and ViLTE are also supported. These three features vary depending on the support of operators in different countries and regions. For details, please consult your local network operator. The View 20 allows users to download 4G networks and Wi-Fi Link Turbo feature simultaneously. Dual band Wi-Fi, Bluetooth v5.0 supporting BLE, SBC, AAC, aptX, aptXHD, LDAC and HWA HD audio. For navigation and positioning dual GPS (L1+L5), BeiDou (E1+E5a) and QZSS (L1+L5) are on board as well as AGPS and Glonass. The Huawei Honor V20 also sports an infrared sensor and OTG via its USB Type-C 3.1 Gen 1 port. On the software side, the China version ships with Magic UI 2.0 based on Android 9 Pie. 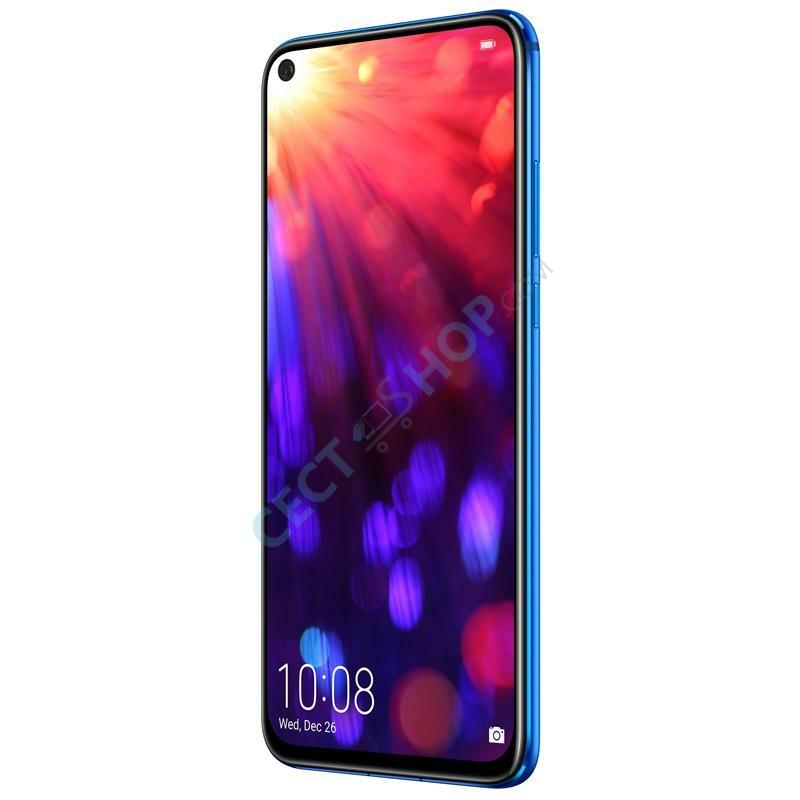 Order and buy the Huawei Honor View 20 online at CECT-Shop.com. Since 2006 your #1 online store for China phones & more! mazingly fast phone, great feel to it, excellent bright display. Latest version of 9 Pie, facial recognition, 3.5mm headset jack, 48MP super camera. You can't go wrong with this phone. Ich bin kein Smartphone Profi. Hab mir das Honor V20 auf 'Gut Glück' anhand von Tests und Berichten aus dem Internet bestellt und bin begeistert. Tolle Verarbeitung, geniales Preis- Leistungsverhältnis, superschnell und liegt satt in der Hand. I transferred from Samsung brand, first Huawei phone. I enjoy the feel of the phone, it's aesthetic, camera quality, and storage space. It's with Google Play Store installed. My only concerns are sometimes apps open slowly and it doesn't stay synced with my smartwatch (have to sync it myself throughout the day). Overall, I am enjoying the phone so far! Super schnelle Lieferung, sehr schönes Smartphone! Bin mehr wie zufrieden! Im Vergleich zu meinem S7 vorher sogar schneller. Der Kauf hat sich definitiv gelohnt! Hallo Ludwig, vielen Dank für ihre Nachricht und Anfrage. Das Huawei Honor View 20 ist bis dato bedauerlicherweise noch nicht verfügbar, aus welchem Grund wir Ihnen keine endgültige Antwort geben können, ob das Honor V20 eine LED-Benachrichtigungsleuchte hat oder nicht. Auf Grund des sehr hohen Screen-to-Body Verhältnis von 91,82% gehen wir allerdings davon aus, dass das Huawei Honor V20 über keine Benachrichtigungs-LED verfügt. Sollten Sie weitere Fragen haben, stehen wir Ihnen gerne jederzeit zur Verfügung. Vielen Dank im Voraus und bis bald, ihr CECT-Shop Team. Nachtrag: Hallo Ludwig, dass Huawei Honor V20 hat ein LED-Benachrichtigungslicht direkt im Ohrhörer verbaut. Zögern Sie nicht uns bei weiteren Fragen erneut zu kontaktieren. Vielen Dank im Voraus und bis bald, ihr CECT-Shop Team. Hallo Fabian, vielen Dank für ihre Nachricht und Anfrage. Wir werden die Informationen für das Huawei Honor View 20 bzw. Honor V20 bezüglich des Google Play Store umgehend aktualisieren, sobald die erste Ladung an Geräten angeliefert wurde. Unser deutschsprachiger Kunden-Support steht Ihnen ebenfalls stets gerne mit Rat und Tat zur Seite, wie der Play Store manuell installiert werden kann. Sollten Sie weitere Fragen haben, stehen wir Ihnen gerne jederzeit zur Verfügung. Vielen Dank im Voraus und bis bald, ihr CECT-Shop Team.